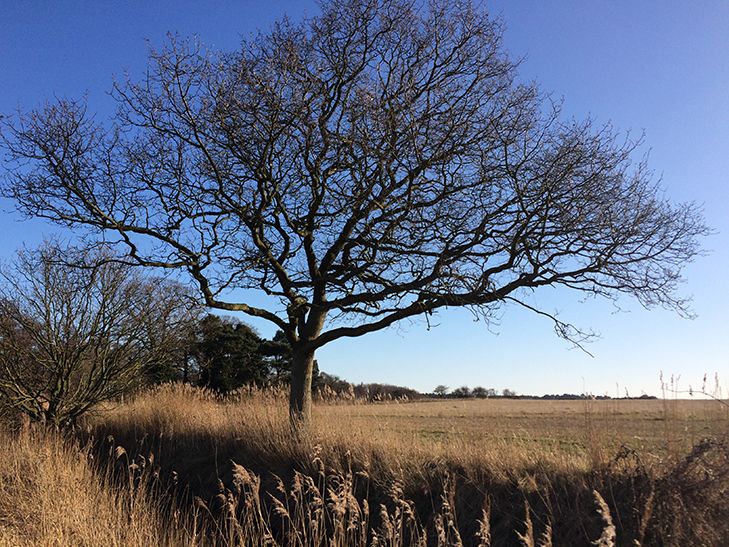 The days are lengthening fast and after an inspiringly beautiful walk in Suffolk I feel that winter is behind us. Even after it has held it's grip for many weeks, there is so much beauty to be found including the outlines of our magnificent native oaks, pines and reed seedheads. At home, our aconites and snowdrops have been upstaged by Iris reticulatas, cyclamens, heaven scent daphnes and winterbox, hellebores and a blissful riot of birdsong. We are still busy planting bareroot hedges and rootballed trees. Some require careful irrigation systems as I hope we are in for a hot and balmy summer.